The buzz about the Black magazine town is a new, high glossy, seemingly fashion magazine that isn’t quite a magazine yet. It’s an idea that editor-in-chief and creative director, Qimmah Saafir is trying to execute and bring to life, with our help. The bi-annual magazine is now hosted as a digital blogazine, in a tumblr reminiscent form, where enticing imagery, bountiful beauty layouts and high profile interviews grace the pages as you scroll in awe. The blush pink site is a sight for sore eyes, gorgeous to say the least. Introductions to the brand and its true meaning and mission give many Black women a sigh of relief; follow by a breath of fresh air. This, not because our leading Black women’s magazines EBONY and ESSENCE have failed us, but because the different voices of the content and vision speak to a different facet of a Black woman. She’s no better than the women of the EBONY and ESSENCE audiences. In fact, she may even be those women. We’re multi-dimensional, remember? But, Hannah speaks to her differently, through edgier visual aesthetics that we just haven’t seen in a very, very long time. Speaking with Huffington Post Senior Fashion Editor Julee Wilson (one of my favorite writers in the biz), Saafir recounts the moment she “started to realize that the publications” she “loved weren’t meant” for her. Yes, and yes. We get it. The variety of magazines that White women and even Asian women get to choose from seem endless when you compare them to the mainstream magazines Black women have felt the need to flock to. And sometimes, by default. Everything isn’t for everyone and that’s a good thing. Representation of the different facets of Black women via magazines is just as crucial, if not similar to those representations of Black women on TV. Some of us feel more connected to Cookie than Olivia, and others resonate with Mary Jane more than Annalise. The rest of us may just be a Rainbow. Or, many of us may have a little bit of them all inside of us at any given moment. It’s called being human. Acknowledging the fact that we are multi-dimensional, especially in a mainstream media world that has, for so long, excelled in giving us one or two categories to fit in, is necessary. As a 28-year-old Black woman, I can even say that I’ve felt torn over the fact that in my late twenties, I don’t feel connected to a Black magazine at the moment. And while I don’t place as much emphasis on the racial demographic of a publication as I do the direction of it’s content, it does at times concern me that I may not connect to a the Black magazines I see on the stands until I’m in my 30s. There’s really nothing for me in that arena (just yet) as a twenty something. But, I am only speaking from my own personal experience. However, let’s go back to Hannah. The new new, aiming to fulfill a void Saafir felt had been left unattended far too long. It looks to be high fashion, only full of rich visuals of Black women. However, Saafir vows that Hannah will be touching on sociopolitical issues, beauty and even technology. So, how exactly will Hannah come to fruition? Through a Kickstarter campaign Saafir began in hopes of raising $30,000 to produce the first issue. She’s already managed to raise $14,000. But, that’s where we come in. I’m hoping BB readers will give something, anything. 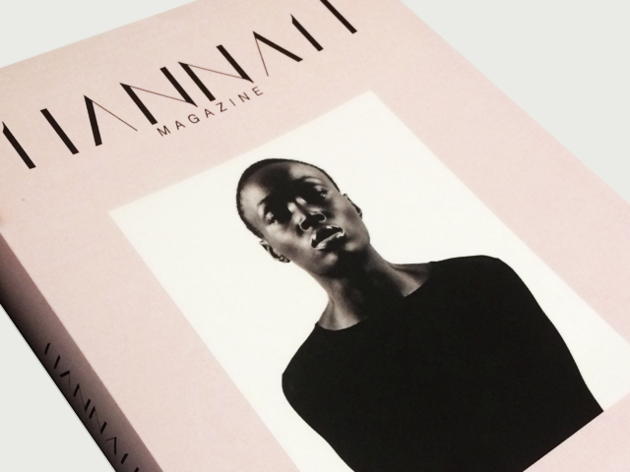 Even if Hannah doesn’t quite pique your interest, maybe the idea of celebrating diversity amongst mainstream magazines will. In all honesty, we deserve this.